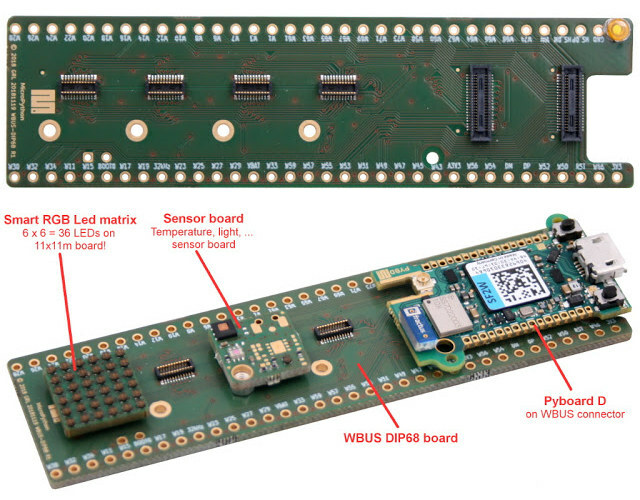 Pyboard D-series (aka Pyboard D, or just PyBD) board was introduced during the Micropython presentation at FOSDEM 2019 and it’s build around a faster STM32F7 Cortex-M7 MCU, with 512Kb of RAM, and 2Mb of Flash, as well as built-in WiFi and Bluetooth connectivity. It also features a pair of external Flash chips and a micro SD card slot for additional expansion options. 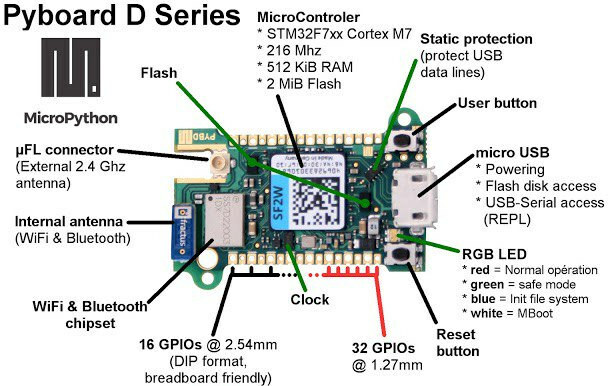 The board can be programmed with MicroPython either from the command line, copying the Python file to the board (seen as a USB flash drive from your computer), or via WiFi using WebREPL terminal client. If you are not sure, what MicroPython is, continue reading. 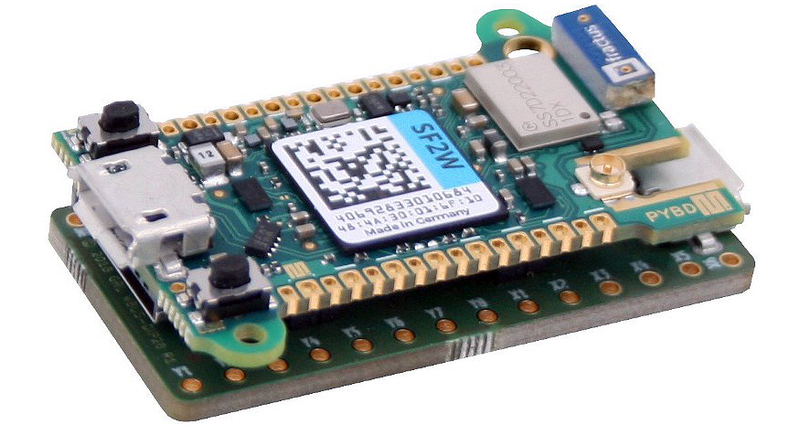 MicroPython is a lightweight version of Python 3 optimized to run on microcontrollers, which is described as a ByteCode + virtual machine + file system compiler for the BareMetal OS implemented on the microcontroller. The WBUS connectors are also a new feature and will allow you to stack add-ons boards. 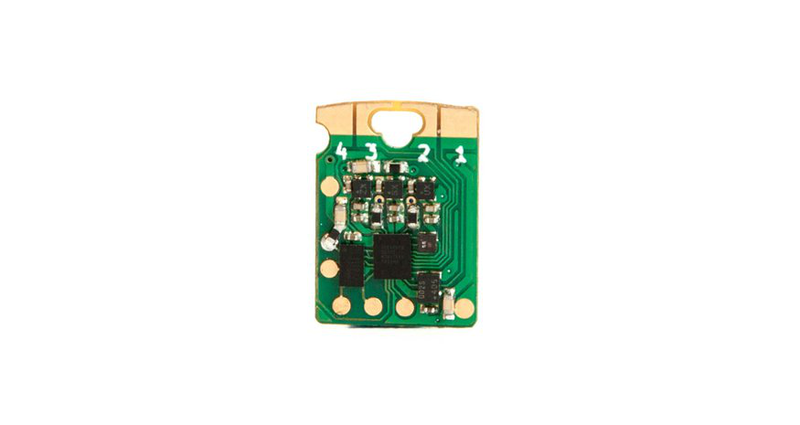 For example the WBUS DIP28 or DIP68 boards are exposing respectively 28 and 68 I/O pins, and they can take one or more sensor board(s) via other smaller 2x 10-pin sensor board connectors. 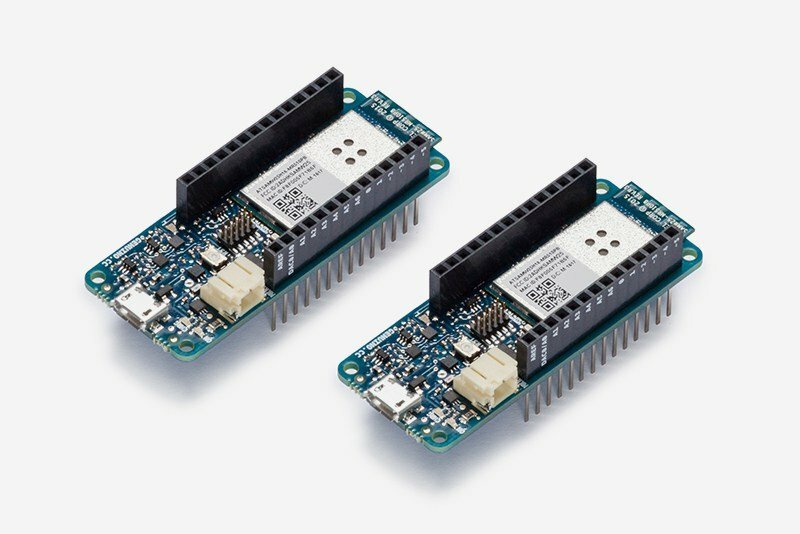 There’s no details yet on pricing, or when the board will be released, however some on the MicroPython forum say that it could hit the market in a few days or weeks.